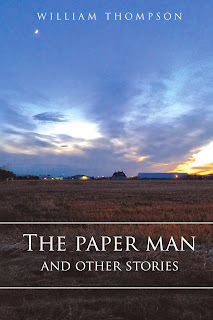 Recently, I published a book of short stories on Amazon, The Paper Man and Other Stories. These are adult, not kid’s stories. This is to let you know that I do more than read and think about kid’s books. Now that spring is here, it’s time to move onto other projects. Spring?—you are thinking. We had a spring snow storm here last week, which left more than four inches of snow on the ground. Mercifully, it didn’t stay. I know it’s spring because my Maple in the front yard is leafing out, and the sun isn’t setting until 9:30. 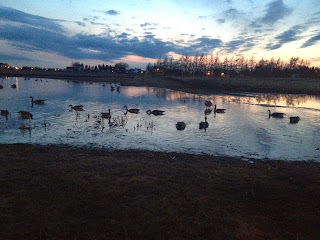 The long evenings are lovely for walking. As it’s spring, and as my teaching life is over until September, it’s time to move onto other projects. At the moment, other projects means independent publishing. Indie publishing has been on my mind for a while. I finally got up the courage last year to try and publish my stories on my own. I began with Kindle singles, but eventually I worked with the fine people at Create Space (another Amazon subsidiary) to produce a book. The result was the thirteen stories in The Paper Man collection. My next project is a young adult novel, one that I’ve been waiting to get back to for over a year. It will probably be the first in a series. By the way, I wrote the second book in the series first. After having both an agent and an editor tell me the book simply took too long to get going, which had me ready to give up on writing forever, I sat down and wrote a prequel. Here’s a teaser. Hopefully, you will see this book in print by next fall. Enjoy. It was a busy morning on the streets—a market morning. Stalls lined the middle of the street in the direction of the square. Booths, carts, open tables, and even blankets were filled and spread with nearly every conceivable bit of junk or food-stuffs that it was possible to sell or trade. Across the street from the rows of vendors, the morning breadline had formed. Made up of people who had nothing to sell or trade, this line of ragged humanity had to rely on daily handouts from the Municipal Government in order to get something to eat. In the centre of the intersection stood a cop, wearing the familiar black uniform and combat boots of the Municipal Police. The Blackshirts, as people had come to call them, had been in the district for several months now. All of them carried a heavy baton, this one swinging idly from the cop’s wrist. More deadly was the sonic whip he carried in a holster on his belt. The sonic whip was the size and shape of a small flashlight, but you never wanted to be on the wrong end of a sonic whip. Safi knew it. She had once found herself on the wrong end of a sonic whip. The Blackshirt, who had taken a dislike to her, had only given her a touch, but it was enough to make her hair stand on end, knock her flat, and leave her feeling sick for two days. Safi watched the Blackshirt from the breadline where she had been waiting for more than an hour. People stood silently in front and behind, clutching themselves inside ragged coats or old blankets to protect themselves from the wind that always seemed to blow through the Hed. She was in position, and the only thing that might cause a problem was if the line suddenly started to move. That was unlikely as the breadlines were notoriously slow, and people often found themselves standing in line for most of a day for a single loaf of bread or package of yeast cakes. The cop did a full circle in the middle of the intersection, staring at people coming and going from Market Street. He stared as if he were orchestrating the entire street. No one looked at him or seemed to notice him, but Safi knew that everyone who came and went was aware of his presence. Swaggering idiot, thought Safi. He’s going to get a surprise in a hurry. Soon he would have more trouble than he would know what to do with. She pretended to stare into space, assuming the vacant expression of most people in the lineup. She was checking for the others. Just at this end of Market Street, she spotted what appeared to be an old woman, hobbling towards a warped bench that stood against a wall. Safi knew that beneath the dirty, pink blanket was no old woman at all. It was Seth, and if he was heading towards the bench, then the others must be in position. Safi was uneasy. She had a tightness in her chest that she didn’t like, a feeling she had when too many things could go wrong. That morning, she had clutched Seth’s arm as he and the others headed for the ladder that would take them up and out of the pod and into the street. The pod was located in a short access tunnel that connected to the main sewer system beneath the Hed. “Is she really ready,” asked Safi, looking intently into Seth’s dark eyes. Even asking the question she felt as though she was nagging him. But he had hardly talked to her in what seemed weeks. It was this sort of exchange with Seth that Safi found more and more frustrating. It wasn’t just that he had stopped talking to her. It was as though he had stopped taking her seriously, or maybe that he was suffering from a sort of blind faith—just relying on things to work out. “I don’t think she’s ready, not for something like this,” said Safi. “Not yet.” More than anything else in that moment she had wanted his attention. He had looked at her for a long moment. “It’s not Shank I’m worried about,” he said, softly. “It’s you, Safi.” Then he gently disengaged his arm and scrambled up the ladder after Mo and Rami. What was that supposed to mean? Safi stared after him for a moment, then climbed the ladder, knowing that she was neither going to get his attention nor even an answer. Now she stood in the lineup and waited for Seth’s signal, watching the blanketed figure as it slumped onto the bench. And it wasn’t just that he didn’t take her seriously, she said to herself. He wasn’t taking seriously that things were changing in the districts. And not for the better, either: Blackshirts everywhere, armed vendors, and rumours of gangs that were organizing in response to the police, the beatings, and the arrests. Safi realized she’d been holding her breath. She let it go, slowly and carefully, shuffling her feet and tugging at the shapeless felt hat she used to hide her red hair. The tips of her fingers tingled with anxiety. And then, out from Market Street ran a small child, a little girl, seemingly one of the many urchins who lived on the streets of the city. It was Shank. She ran straight up to the cop. The big man paused in mid-swagger and stared down at her. Her face was tear streaked, and she was pointing back along Market Street. The cop looked up the street and then shook his head. Shank began to cry in earnest, pointing repeatedly back along the booths and carts and clutter of the street. The cop glanced once around, and then with a half-shrug followed her into the crowd that pushed its way along the stalls and booths. Shank was one of half a dozen or so little ones under Seth’s protection. He was the leader of their pod. It was Seth who came up with their plans for raiding or scavenging anything the pod could sell or trade for food. Seth’s plans were usually brilliant. He could be reckless, but he was a brilliant planner. Raiding one of the fat vendors who took advantage of people in the district with overpriced or rotten fruits and vegetables was dangerous, but to pull it off right under the nose of some swaggering Blackshirt made the risk worthwhile. At least Safi usually thought it was worthwhile. This time she wasn’t sure. Safi began to count in her head—one-one thousand, two-one thousand, three-one thousand . . . . And there it came, a high, piercing whistle. Her signal. Yanking down her hat, Safi broke from the line and ran. The stall Seth had chosen to target that day was near the end of Market Street. It was a fruit and vegetable stand run by a tall, bloated man who wore a long brown coat. He was one of the new breed of vendor who traded the leavings from the corporate districts that had begun to spring up all over the city. The corporate districts were gated communities that never seemed to lack food or water. Nobody knew how they came by so much, but it was said they threw out what they didn’t use. Even Safi, who had come to hate the thought of the corporates as much as she had come to hate the Blackshirts, had trouble believing such a story. Who would throw out food? The bloated man in the brown coat was a particularly nasty form of bloodsucker. He got his hands on what the corporates didn’t want, and then he traded it for the bread or meds people stood in line to get from the government, then reselling what he traded to people who could pay for it. He was scum. Because this particular vendor was a corporate leech, Safi would usually have no qualms about the raid. Hitting such a bloodsucker in the middle of the morning right under the nose of a Blackshirt would usually have made it that much more exciting. No more time to wonder. Safi ran straight for the table where the man in the brown coat had piled fruits and vegetables and an assortment of dented cans. She could see a small, lean figure to her right converging on the stand. That was Rami—small, wiry, and irrepressible. Safi spared a glance to her left. And just as planned, she saw a tall, wild-haired figure tearing in from the other side. That was Moe. Right on time. The three of them hit the stand all at once. Maximum chaos, Seth had said. Maximum chaos. The table seemed to explode as the three of them slammed into it. Cans and vegetables rolled and flew in every direction. The table collapsed with a crash, and Safi heard somebody scream. The crowd reacted exactly as Seth had said it would. Vendors hawking and bartering while the crowd behaved itself was one thing; flying and bouncing vegetables and cans was another. People scrambled to grab whatever they could. Safi had spotted something interesting as she hit the table. It was a netted bag of something—round things that looked orange or yellowish through the netting. She deftly scooped it up. The man in the brown coat was bellowing. He had grabbed a length of stick and was swinging it against the crowd that was all around him now on hands and knees, grabbing whatever they could. Get in, get out. Maximum chaos. That’s what Seth had said. Safi clumsily hugged the netted bag to her side and leaped away from the table. She had lost sight of Rami and Moe, but she wasn’t supposed to worry about them. Seth was going to cover, and her job was to get out of there as fast as possible. Safi knew about crowds and about riots. She knew that such a disturbance along Market Street would cause chaos, so when she leaped for the gap and found herself outside the crowd she knew something was wrong. Even as she heard the two-part whistle that meant danger, she saw the second Blackshirt. For a fleeting second she wondered where he had come from. There wasn’t supposed to be a second cop. Seth said he would case the streets before the raid, and they weren’t supposed to have gone ahead if it hadn’t been clear. But there he was—the second Blackshirt. And this one had a baton in hand, and he was running straight for Safi.